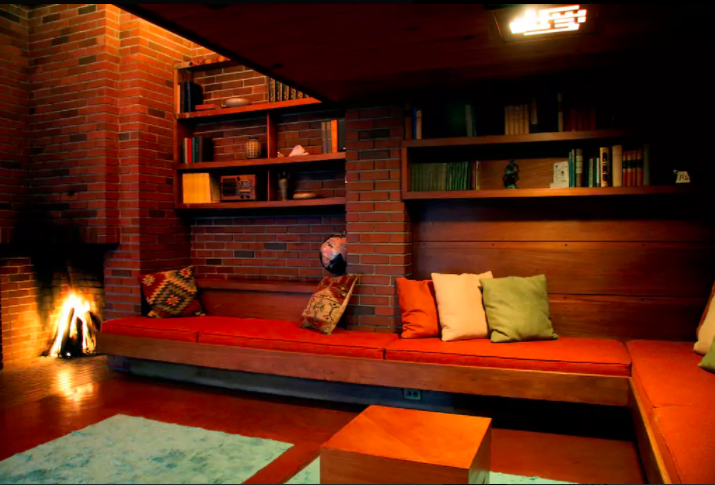 The Schwartz House was part of Frank Lloyd Wright’s effort to affirm a new, original American architectural style with no reference to the past: the Usonian style. 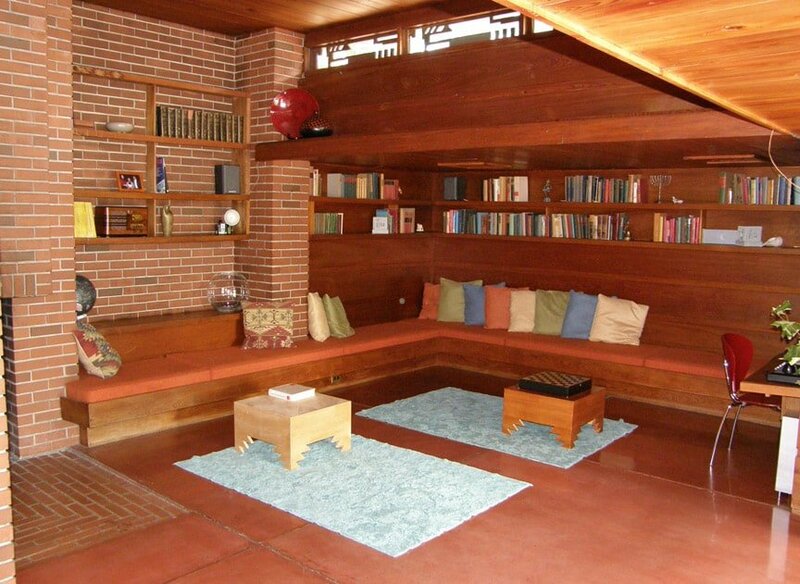 The house was originally designed by Frank Lloyd Wright as part of the 1938 LIFE magazine “Eight Houses for Modern Living” project. 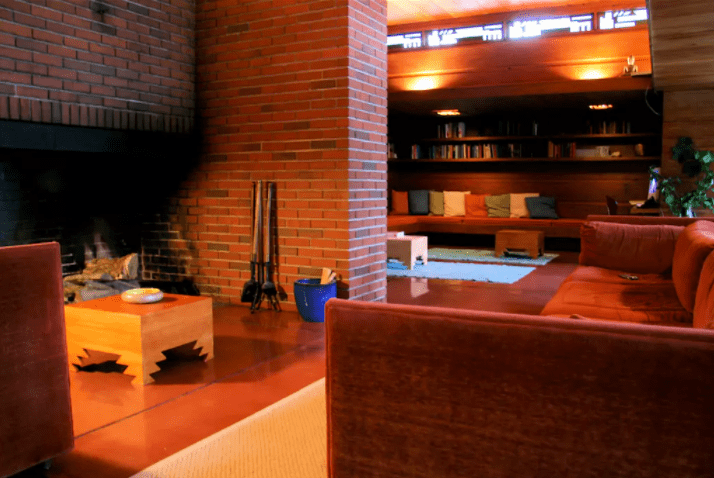 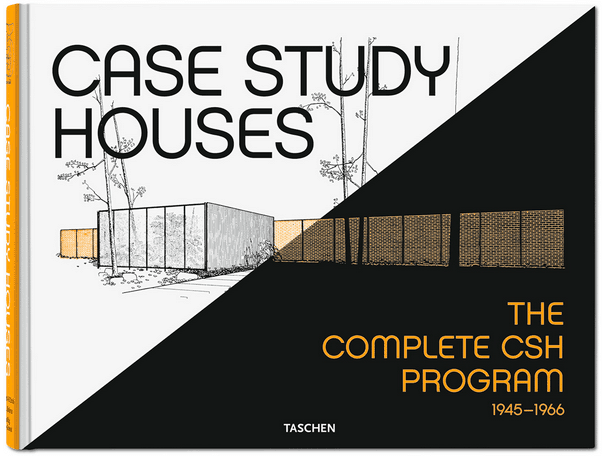 The magazine asked eight well known contemporary architects to design a “dream house” for eight middle-class American families, with incomes ranging from $2.000 to $10.000: Frank Lloyd Wright was part of this exclusive group. 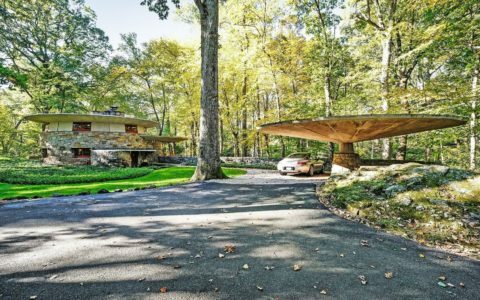 By 1938, Wright was already 71, LIFE magazine had featured him on their cover, and the Fallingwater House for Mr. Kaufmann was being completed in Pennsylvania – he was at the peak of his career. 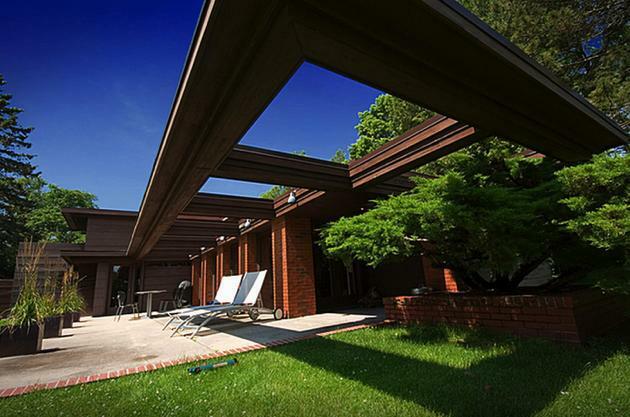 The house featured a swimming pool outside, while inside the open plan combined the living and common recreational area into one big space. 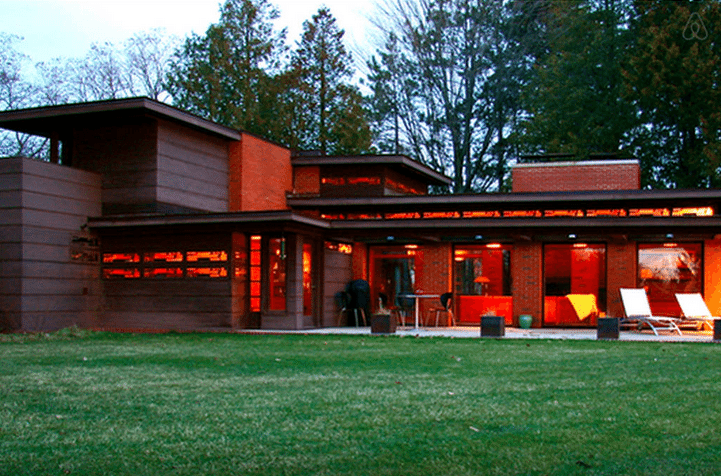 Wright designed a free and flexible space for a modern family. 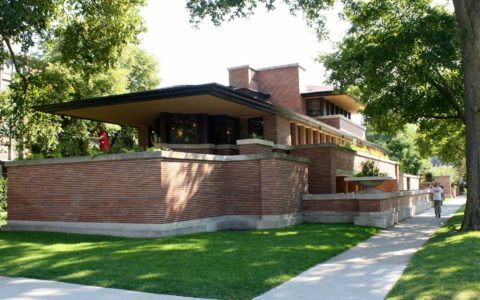 Due to several reasons, the Blackburns were not able to build the house but in the meanwhile, in Wisconsin, business man Bernard Schwartz was eager to have a new house for his family built by Frank Lloyd Wright. 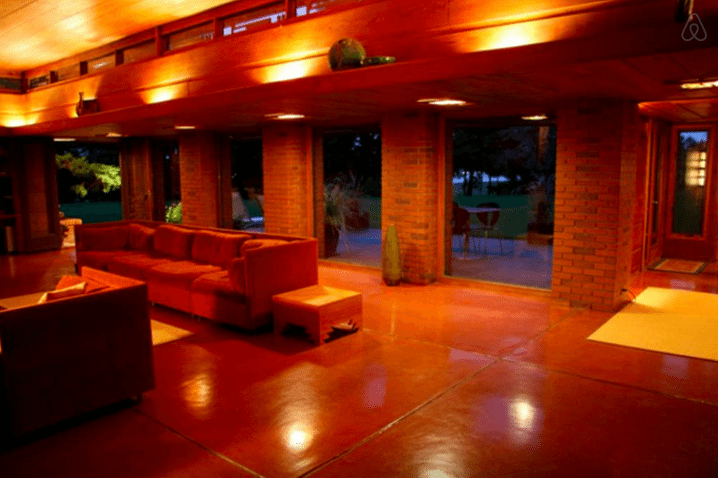 After a visit to the architect’s studio in Taliesin, Mr. and Mrs. Schwartz decided to have their dream home built in Two Rivers, Wisconsin using the original plan designed by Wright for the Blackburn – modified to accommodate their needs and the new site. 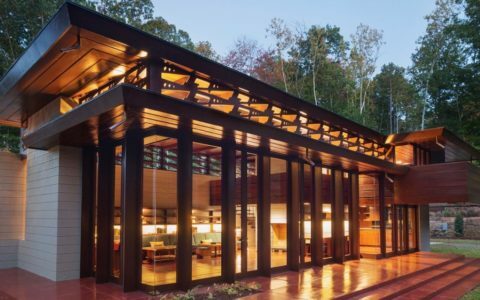 Wright changed some of the original materials and plan, raising the ceiling of the living area to include an interior balcony overlooking the open plan space, together with a few other additions. 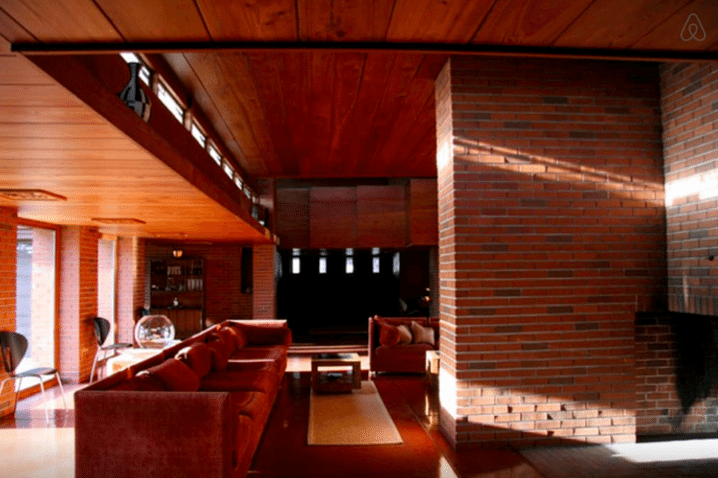 He also designed most of the interiors and furniture to fit the house design. 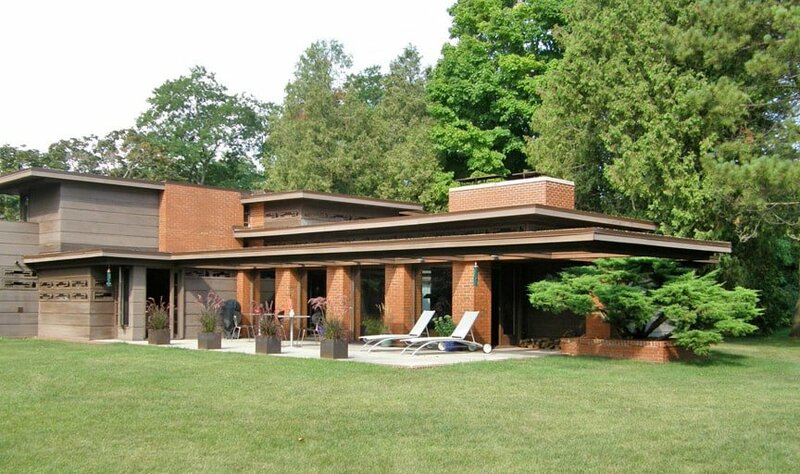 Today the Schwartz house is home to its third generation of owners, who also restored it making it available for public tours, events and overnight rentals. 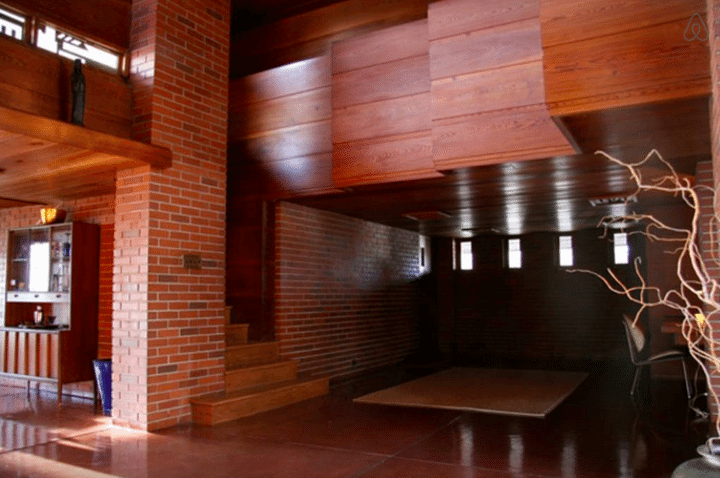 There is something magical, almost spiritual about being in a Wright space that leaves one transformed. 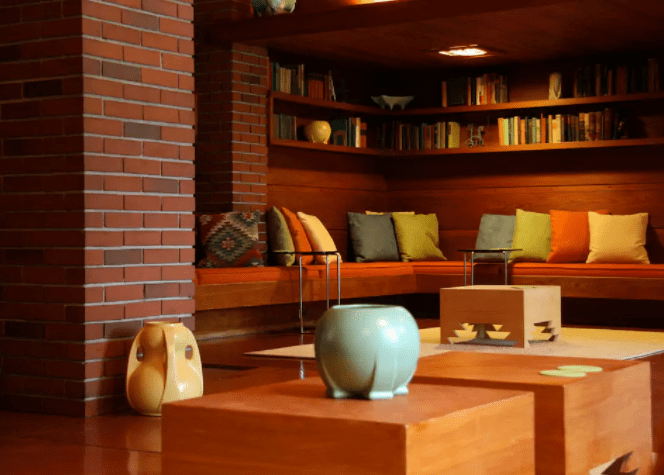 A unique occasion to experience the genius of Frank Lloyd Wright in person.